Successfully Added Wireless Keyboard + Touch Pad to your Shopping Cart. Wireless Keyboard + Touch Pad so you can use your LCD TV or your DLP projector as an alternative computer monitor from up to 40 feet away. Use this wireless keyboard and touch pad either in your home, conference room, classroom or in even in a lecture theatre to astound your audience. This wireless keyboard with touch pad works on (RF) radio frequency, meaning there is no object that can get in the way of you having full control of your computer. This is a great gadget for controlling your computer so you can do things like download movies and watch them on the big screen without ever having to leave the comfort of your sofa. If you are looking to enhance internet TV viewing and you are searching for a wireless remote control, then your search is over. The CVNP-K55 is what you've been looking for. The keyboard comes with backlighting that allows you to type and read text easily in dark and even dim light. And best of all it is a simple plug & play device, that requires no software or driver installation what-so-ever. This wireless keyboard with touch pad lets you remotely operate your computer from within a radius of 40 feet. Thousands of users today are already experiencing the fun and power of wireless keyboards or touch pads. 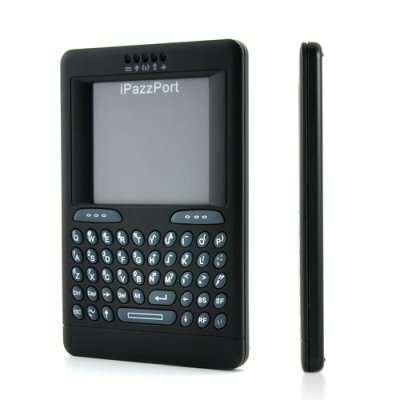 Before the K55 it would have cost you $200-$300 for a good Wireless Keyboard with Mouse Touch Pad. Now, you can get one at a low China Wholesale Price. And since it is stocked in our warehouse, if you order it today we will express ship it out to you tomorrow! Its easy, step one: Insert the USB dongle receiver to any available USB port on your computer or laptop. Step two: Take the wireless keyboard with mouse pad, hit the RF button. Step three: Start enjoying full control of you monitor of projector from 30 feet +. Does this wireless keyboard with mouse pad automatically determine the language settings, or do you have to configure it separately? This is a simple plug and play device, no configurations of any sort is needed. The CVNP-K55 will automatically determine the keyboard layout of your desktop or laptop computer, so you can input commands as you would on your normal desktop keyboard. Is it easy to operate this wireless touch pad with keyboard? It is very easy to operate this wireless touch pad with keyboard, just connect the wireless receiver to your PC USB port and start using the wireless keyboard with touch pad instantly. Does this wireless keyboard with touch pad work while still connected to a USB port for charging? Yes, it will still work even when connected to a USB connection. design is pretty good. looks like a blackberry. responsiveness from 8 feet away, not line of sight, not the most amazing. i wonder if a trackball would work better than a touchpad. on 2011-03-31 08:58:00 Great product!! Thanks Chinavasion!! Works great!very easy to install.Do not hesitate to have one at such a low price!! !